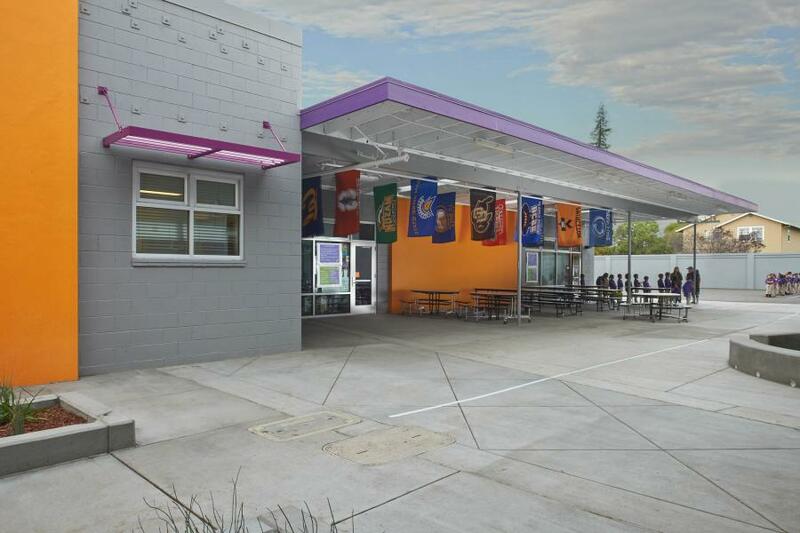 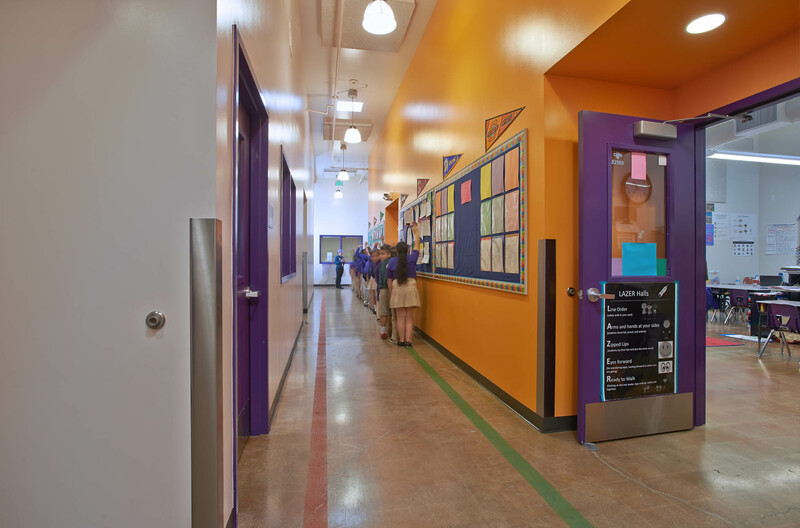 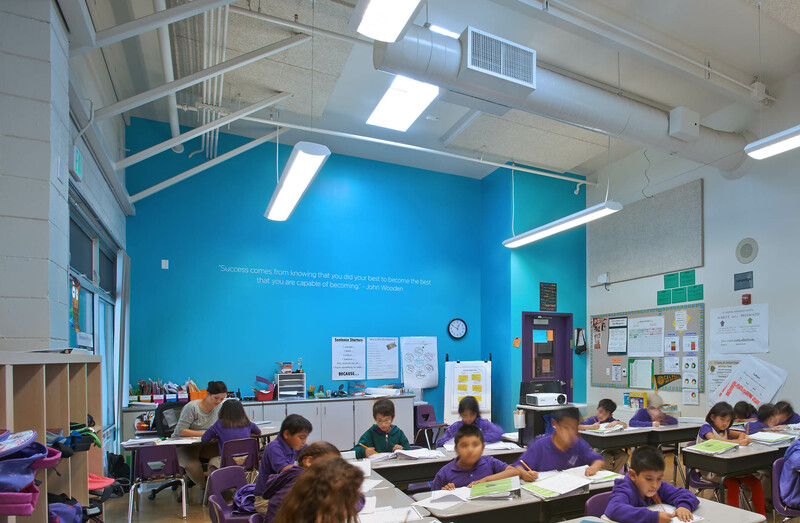 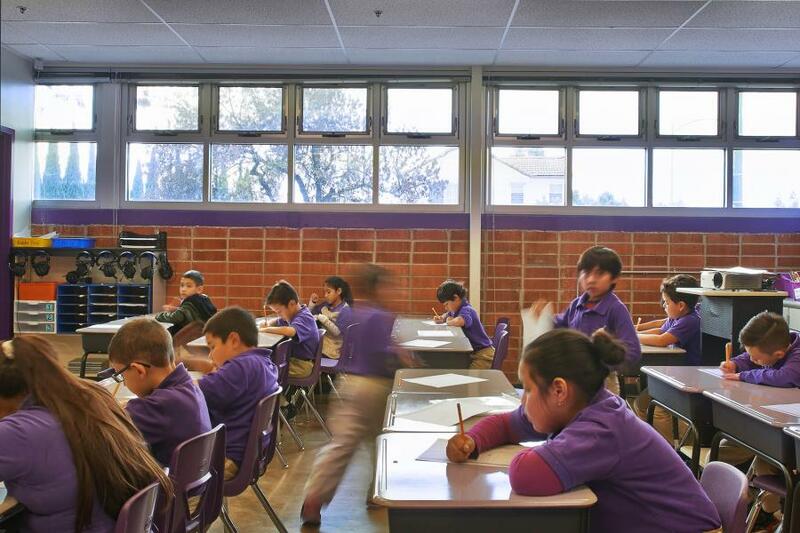 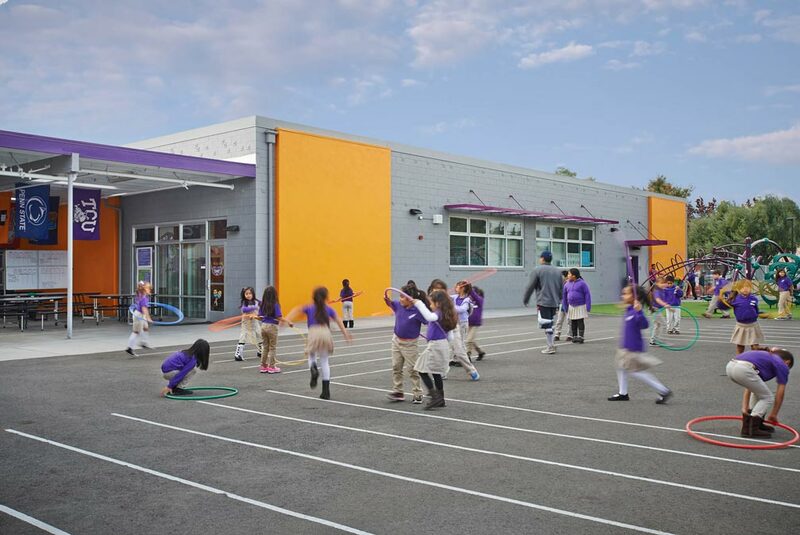 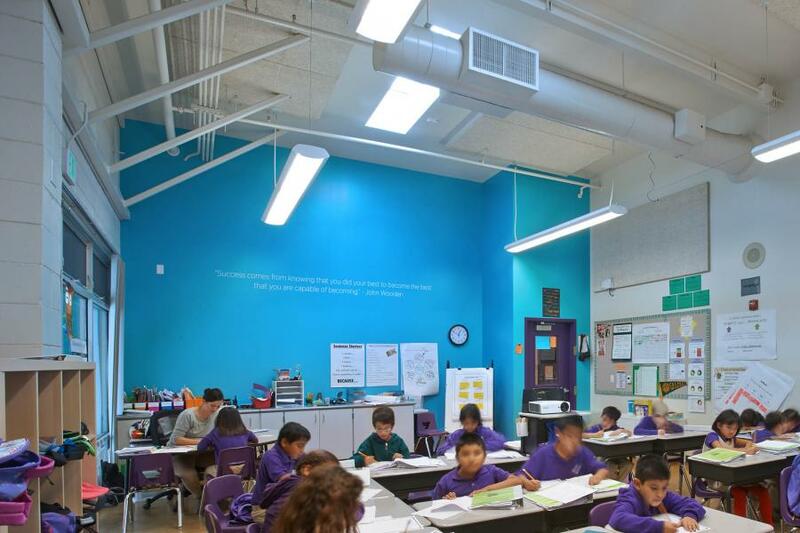 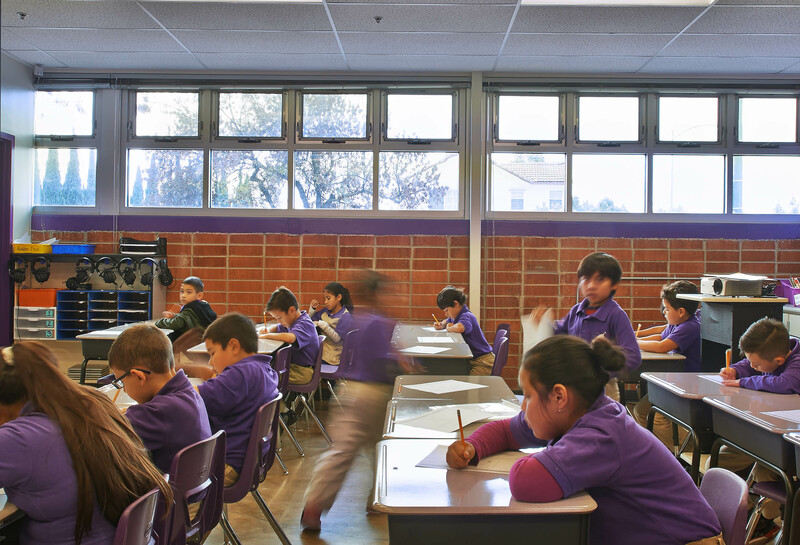 Rocketship Fuerza is a new K-5 school campus serving 550 students in a dense, urban area of San Jose. 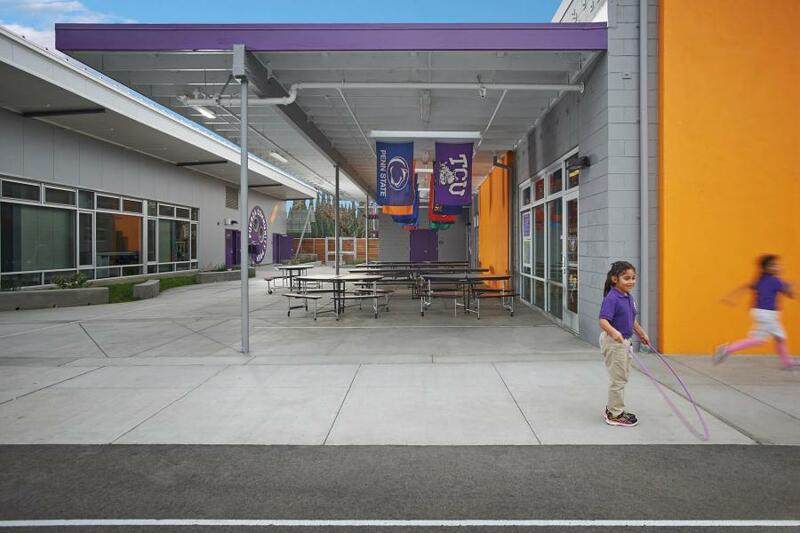 The campus consists of a rehabilitated 10,000sf post office building housing Administration spaces and third, fourth and fifth grades, a new 12,000sf pre-engineered building housing Kindergarten through second grade and a large Learning Lab as well as a central courtyard, a large outdoor play area and two parking lots. 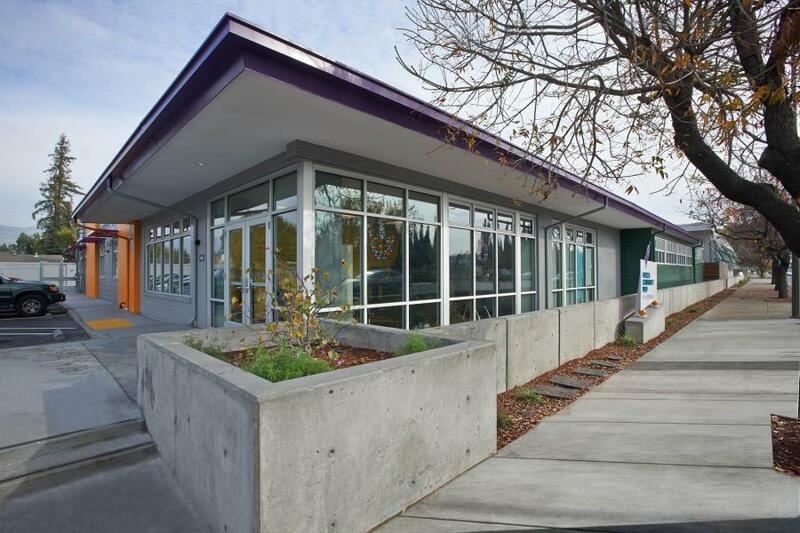 The post office building rehabilitation process followed the procedures set up by the Division of the State Architect and involved extensive analysis of the existing structural system, destructive testing and structural upgrades in order to convert the concrete masonry unit building to a Field Act compliant structure. 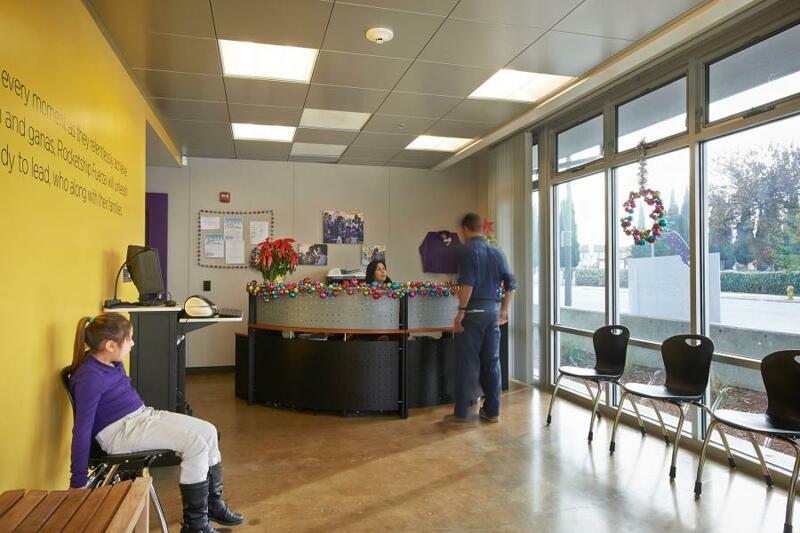 The interior of the building was reconfigured to create nine classrooms, restrooms and Administrative facilities. 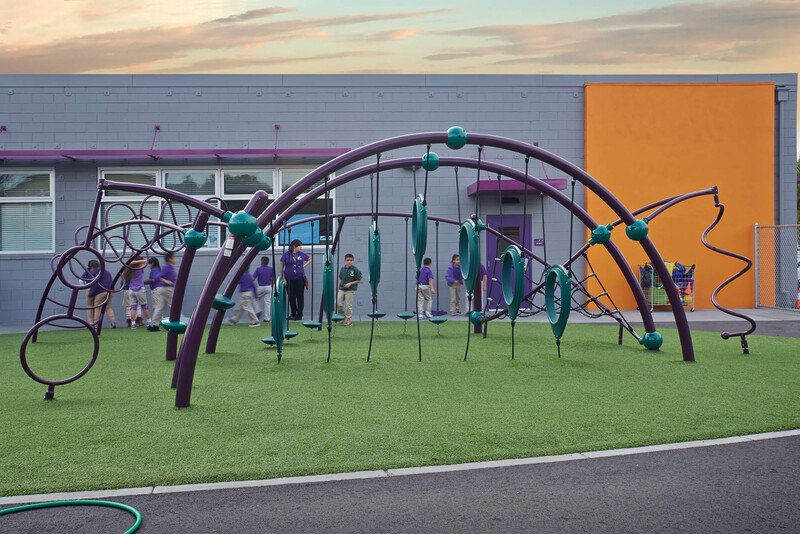 The new pre-engineered building was delivered using a design-build contract with a contractor and architect specializing in pre-engineered building design and erection. The post office building is separated from the new pre-engineered building by a central courtyard with a covered eating area, concrete seatwalls and landscaping with native California plants. Custom fencing and gates, concrete seatwalls and landscaping provide an attractive yet secure separation from the high volume streetscape.